Home » Tech » Building Integrated photovoltaics is so cool! Building integrated photovoltaics (BIPV) is when solar panels are actually designed into the facade of a building. Typically building integrated solar panel systems start off with an architect who draws the solar panels with the perfect orientation right into a building’s initial design. BIPV is completely different than retrofitting a building with solar panel, you can often tell by the aesthetics of a solar panel system in a BIPV building. The solar panels are flushed right into the building. Another example of BIPV is solar roofing shingles, which replace the shingles on your roof with ones that have solar cells embedded into them. MSK, a company which produces BIPV products have windows that produce electricity, how cool is that! A better way to understand BIPV is implementing solar cells into building materials we use in everyday construction. 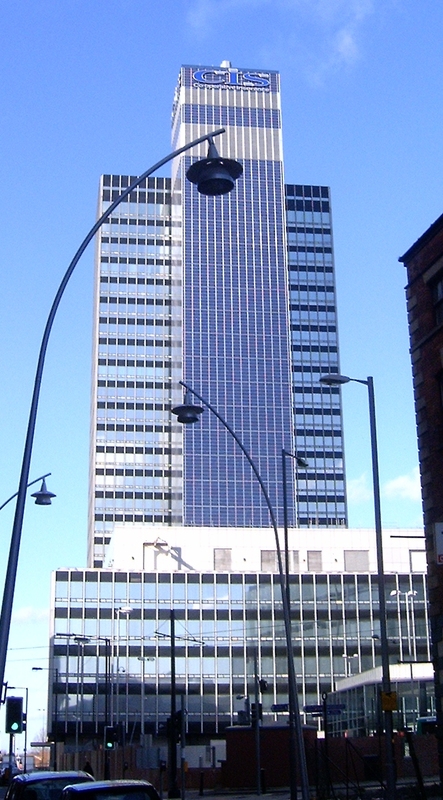 The building in the picture above is the CIS Tower in England and is a very delightful example of how the side of the building is designed to host solar panels which send the electricity produced right into the grid. The CIS building is turning a non-revenue producing asset (the side of a building) into an asset that can produce a return by integrating solar panels into their building design from the ground up.